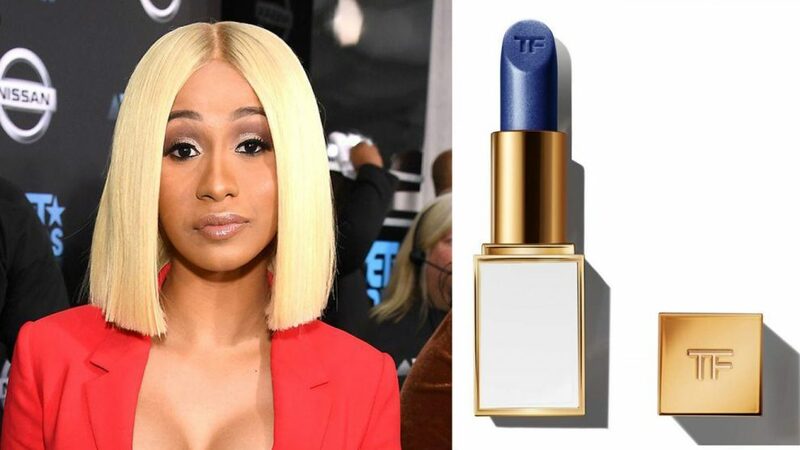 On the heels of her physical altercation with Nicki Minaj, Cardi B revealed on Sunday that designer Tom Ford named a lipstick after her as a part of his brand’s latest Lips & Boys collection. The deep, shimmery cobalt blue shade was unveiled along with the rest of the new collection backstage at Ford’s spring 2018 runway show, where the “I Like It” singer sat in the front row. “Thank you so much @tomford and @tomfordbeauty!!! So excited for this and what’s to come! !” Cardi wrote on Instagram. The rap superstar posted again just 11 hours later to announce that the $36 lipstick was already sold out and apologized to her fans, leaving them to debate whether Minaj is deserving of her own eponymous Tom Ford lipstick in the comment section.